I hope you all have had a lovely week. My week was very special as it ended with our recital on Saturday. But this wasn’t just any recital, this was the first recital that I have ever been to where I have students and clients participating. I discovered that this perspective is different, but in many ways very similar. For instance, it was in no way less stressful. I was overwhelmed with nerves and excitement as my students took the stage to play their piece. I’m sure that my face had turned red as red can be. When they played their piece they played beautifully, they kept going when they made mistakes, they got up on stage even having just overcome an illness, and for some they performed regardless of ability or disability but because they had a song to show the world and this was their stage to do it. Some of my students were elated to having been on stage, and some were so overwhelmed with excitement that they ran off stage when they were done. It was one of those moments where I’m trying to look composed and keep it together when I just want to throw both arms up in the air and do a victory dance every time they get the transition, every time they complete a song beautifully, every time they remember all. of. the. words. What I thought I knew was that I would be proud of them, what I didn’t know was how proud. I am so lucky to be able to work with a group of people who make my world a brighter place every single day. Not many people can say that they love what they do, but because of these people, I really do. 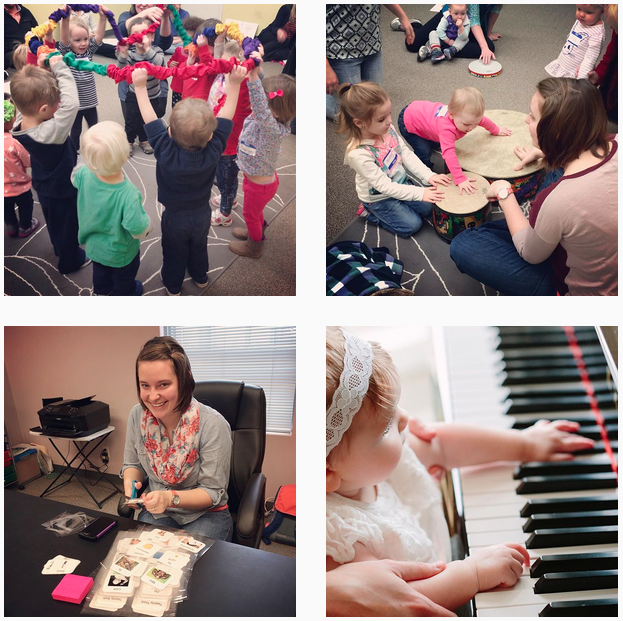 This last week at MTC was full of emotions whether that be anxiety, sadness, or pure joy. When last week began I was up to my neck in things to do, what with a midterm, multiple assignments, session planning, documentation, recording, and then of course trying to squeeze in time to see my family and enjoy a bit of the holiday season. I was beginning to feel short of breath because of the sheer amount of things to do. I have recently realized that there is a way for most practicing music therapists to keep certain parts of their lives and emotions separate from their career, but that is next to impossible in the hospital setting. When you’re sitting at the bedside of a child in great pain, facing a new diagnosis that will change their life, or even a terminal diagnosis you have to be able to be open to be able to convey a sense of honesty, care, and sympathy as they move through their hospitalization. But I think that when we open ourselves up at that deep level we accept that we carry them with us. I feel that way about this one particular patient. I carry them with me. Needless to say I had a lot going on, but I never for one moment felt alone. I am blessed to have a wonderful support system in my personal life, but also supervisors who support me in my endeavors through this dense learning process called internship. My support system is so important to me. I can honestly say that after such a crazy week I had three times the laughter that I had to tears or fear. I am so thankful to have them through this amazing experience. Hello there! I hope you had a fantastic Thanksgiving! My Thanksgiving was filled to the brim with family time, pie, and turkey… so much turkey! Besides the overwhelming amount of food I also got to spend the entire week answering the ever-present question… “so what exactly is music therapy?” Everyone from my in-laws, to my great aunt and even my grandmother were asking me this recurring question. As music therapists, students, and interns I think we eventually figure out how to answer that question based upon who were speaking to whether that’s straight to the point for our older relatives who are hard of hearing, to explaining the clinically based efficacy of music therapy to the doctor of the family, who honestly wants to know. This week it became clearer to me how important advocacy is as a music therapist everywhere you go because we are a small profession. After I have explained what I do simply as “working to achieve non-musical goals with and through music” again and again and again over the years, my family has begun to remember it and repeat it when asked themselves. Even now, after only five years much of my family have already become advocates for music therapy which makes me incredibly proud. That goes to show family is not only within your reach to advocate to, but when its all said and done, are usually the ones in your corner.